We’ve reported staggering numbers for the 2016 U.S. presidential election on YouTube. The final debate, for example, had an unprecedented 140 million election-related views. Even more exceptional is how this U.S. presidential election cycle compares to those of 2012 and 2008. 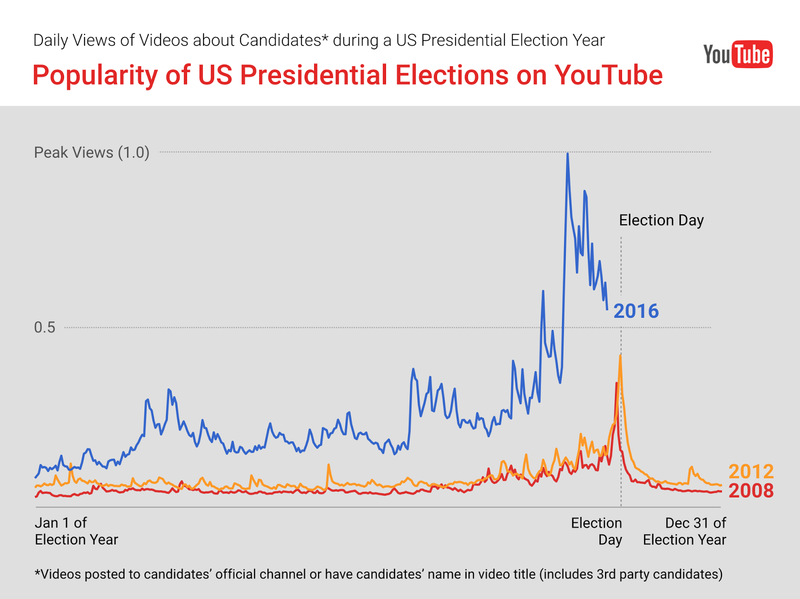 We examined the data for election years in 2016, 2012, and 2008, and determined that this year will likely break YouTube records for views and watch-time on Election Day, November 8. Since January 1, overall views in 2016 for videos about candidates have been 5x larger than in 2012. Going back four more years to the 2008 election, this year has had 8x more views than 2008’s presidential race. This is a departure from the change in views from 2008 to 2012, which was only 1.65x larger. In each case, Election Day was the most popular date: views historically increase 7-10x from the yearly average, as viewers tune into analyses of the results. 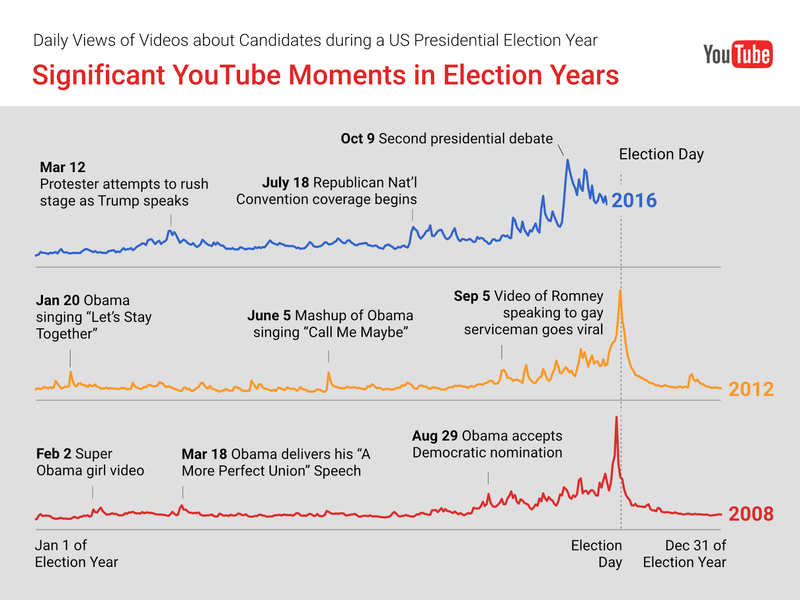 When it comes to U.S. elections-related viewership, we expect November 8, 2016, to be one of the largest days ever in YouTube’s history.